The latest edition is out—packed with news and events! Remember | eNews is free – spread the word about TAS! 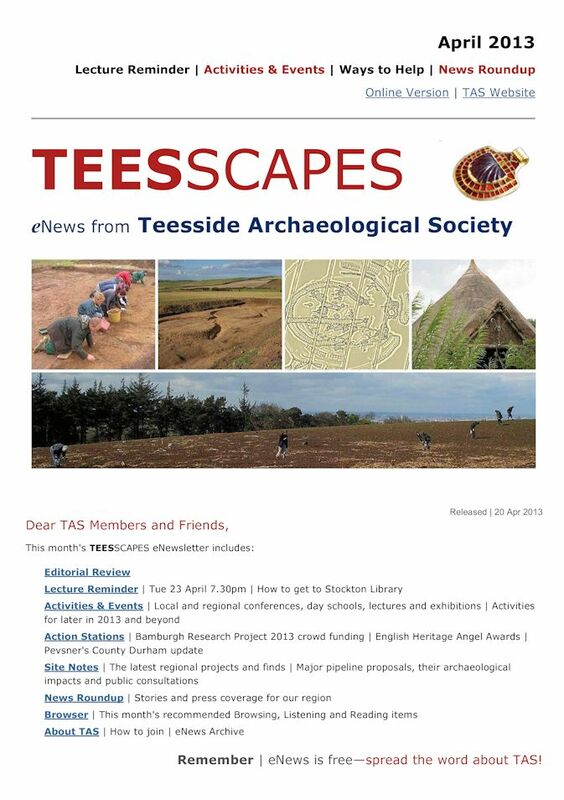 This entry was posted in British archaeology, Digs, Events and activities, Sites and finds, Teesside archaeology and tagged Anglo-Saxon, Archaeology, England, North-East England, Teesside, Teesside Archaeological Society, York by Spencer Carter. Bookmark the permalink.